I have been a musician for over 35 years, spending most of my playing career sat at the back of orchestras and bands playing the French horn around London and the home counties. 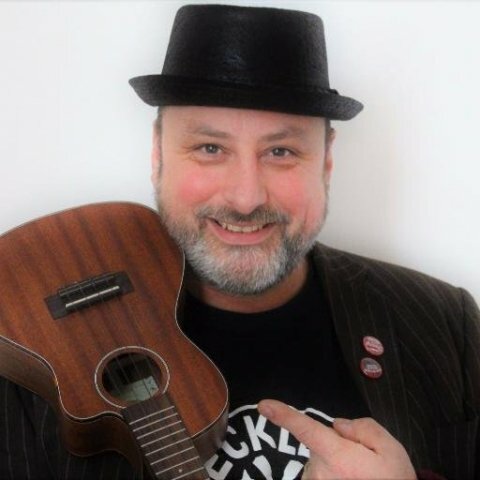 Andy also founded "Ukes Akimbo" the Brampton based amateur ukulele band of some repute! In the two years they have been going the numbers have grown to 28. They are made up of people who before the band had mostly never played and instrument before let alone the Ukulele. And are now very comfortable performing in front of large crowds to great applause! Andy really enjoys and takes great pride in teaching the instrument, he strives to get results quickly but at all times makes his lessons dynamic, enjoyable and fun. 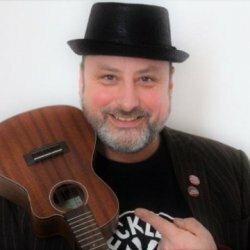 I Have been a professional musician for 30 years and have specialized in Ukulele for the last 4 years and have taught every age range from 6 to 90! I now teach At World of Ukes in Carlisle but am also prepared to travel. You will find my teaching style to be relaxed and fun, which in my experience has led to great results and improved playing very quickly.